three × = 9 Required Please enter the correct value. Anti-aging breakthroughs typically deal with eccentric diet trends or nutritional supplements. But Google Inc.'s (Nasdaq: GOOG, GOOGL) Larry Page and Sergey Brin have taken anti-aging to a whole new level. 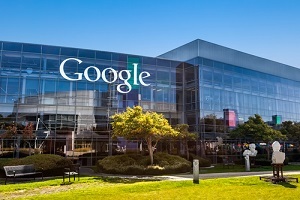 In 2013, Google founded the biotech company Calico along with Apple Inc. (Nasdaq: AAPL) Chairman Arthur Levinson. Calico isn't your typical biotech company. Rather than focusing on diseases, Calico was founded to cure aging. According to Page, expanding the human life span by as much as 100 years is the company's goal. "[Aging and illness] affect us all — from the decreased mobility and mental agility that comes with age, to life-threatening diseases that exact a terrible physical and emotional toll on individuals and families," Page said in a statement announcing the company. "And while this is clearly a longer-term bet, we believe we can make good progress within reasonable timescales with the right goals and the right people." In September 2014, Calico partnered with the $112 billion biotech firm AbbVie Inc. (NYSE: ABBV). Both companies provided $250 million in funding to fight diseases associated with old age. Together, Calico and AbbVie are creating a research center in San Francisco. Peter Thiel, hedge fund manager and founder of PayPal, has made anti-aging his next big venture. Thiel has contributed $3.5 million to the anti-aging non-profit Methuselah Foundation. Its mission is to find drugs that cure types of age-related damage like loss of cells and excessive cell division. Larry Ellison, co-founder of Oracle Corp. (NYSE: ORCL), finds accepting mortality "incomprehensible." Ellison has donated more than $430 million to anti-aging research. "Death has never made any sense to me. How can a person be there and then just vanish, just not be there?" he told biographer Mike Wilson in 2003. Peter Diamandis, the founder of the X-Prize and International Space University, has recently founded a company called "Human Longevity Inc."
This company's sole purpose is to extend the healthy human life span as long as possible. And Diamandis is offering a $10 million prize for technology that gets us closer to that goal. A gene therapy treatment is already in advanced clinical trials at Stanford University. In January 2015, it was discovered that the treatment reversed the biological age of 60-year-old human skin and muscle cells by 25 years. After just a "few days of treatment," the cells became indistinguishable from those of a 35-year-old. Harvard doctors are researching this too. Recently, they activated the same immortality gene in mice. It extended the average life span from two years to almost four years. Best of all, these new developments will create one of the greatest investment opportunities of our lifetime. The anti-aging market is expected be worth $345 billion annually by 2018. What is not being considered is how the planet is going to support people living forever, or even 100 or 25 years more, when we already have starving people around the world with the 7 billion that we have. How does that make way for babies. We do not know what the long term consequences might be. Yes, it doesn't make sense that we just die and disappear, but we may not. Energy is neither created or destroyed, just transformed. This is why many cultures believe in reincarnation. We are all just recycled DNA. This venture does raise many ethical issues, like will this be a way of selectively reducing the population,based upon wealth or lack thereof. It is clear that we were not meant to live forever, because unlike the lobster, our telomerase is turned off when we are born. Are we messing with something we should not be messing with? Are we playing God? Just because we can, does that mean we should? We have already ruined this planet. How is adding more people to the population going to reverse this? Oh,right we are planning on inhabiting Mars and messing up that planet too. Another issue is do you really think the pharmaceutical companies are going to allow this drug to exist? It would put them out of business, if all sorts of diseases can be reversed. I wish you had a mechanism for editing posts. I'd like to comment on a couple of your points. First, there is ample food to feed everyone on our planet. Money and Distribution are the reasons why many are starving and the U.N. changed its estimate from almost one billion down to six hundred million just over the last couple of years so hopefully we are making good strides in that direction. Aside from that, given some new technologies now being refined and by my own mathematical estimates this planet could feed at least 35 billion people. And this hasn't included anything done in the ocean's to obtain further food sources. The second thing I want to comment on is the age issue, playing God as you put it. There are descriptions of mankind living to be the 'age of a tree' during the Millennium. It appears that this is in God's plan for us. The age of a tree is generally taken to mean 1,000 years but it could be several thousand years or infinitely. Realistically, if we had perfect cell regeneration we would live forever without anything akin to cellular disease. That means no virus issues whatsoever. Life would be very interesting if we had a thousand or more years to develop whatever we could or wanted to. Could you put maybe a little more effort into this and give some specifics? Which clinical trial at Stanford? What specific genes? Anything?